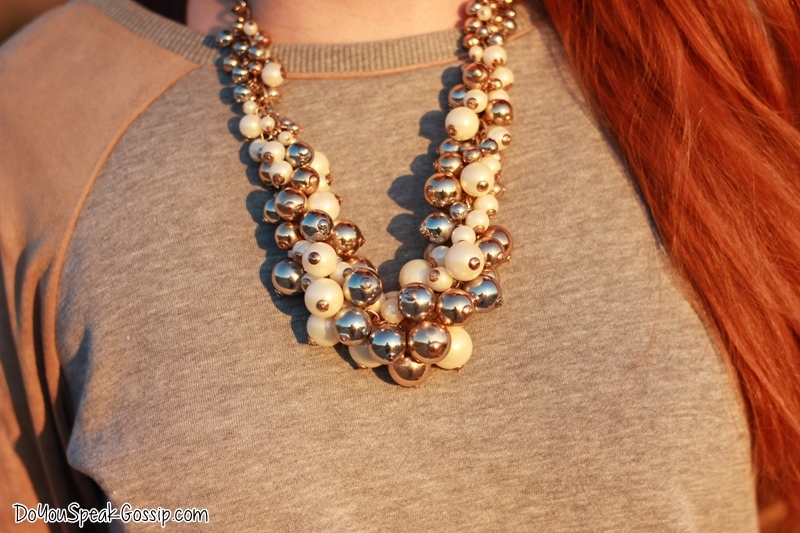 Winter sunsets | Outfits - Do You Speak Gossip?Do You Speak Gossip? Wow, the sun, as you said, created a great “filter”, I simply loved the colors of the photos – I mean, with the sun and the colors of the outfit! I am glad you didn’t catch a cold, or so I hope, from shivering! The outfit is amazing – the coat is fantastic!!!! I loved it and the necklace too, so sweet! Really, you should wear this coat more often (in case you don’t), because it’s lovely! You may have felt cold, but you look beautiful! Makia! Thank you for everything! Makia! Oh I love the pictures! The setting sun really adds a lot of warmth to the warm outfit and I think that it was a good idea. And like I said before, even though it was super cold outside, it doesn’t look that way. Love the design of your coat also-I would totally buy that… it’s so cute! Thank you Olivia! The coat is actually vintage, and it can be worn both ways. It’s beige/brown on the inside, and brown on the outside, and it was my mother’s or aunt’s in the past. But it’s really good quality. You look really very beautiful. And perfect clothes and accessories for winter season. Stay warm and in style in winter season with such beautiful coat and accessories. οι αποχρωσεις του μπεζ καφε ειναι οι αγαπημενες μου και σου πηγαινουν πολυ!! δεν ειχα σκεφτει να συνδιασω με γκρι μου δωσες ιδεα!!! Χαίρομαι που το ακούω. Εγώ αγαπάω πολύ τον συνδυασμό του γκρι με το μπεζ και το καφέ, αν και δεν έχω πολύ καφέ στην γκαρνταρόμπα μου. Σου πηγαινει πολυ, σε κανει πολυ γλυκια!